While the pre-Fall 2013 collections are currently being unveiled (a synopsis on these shows to come later this week! 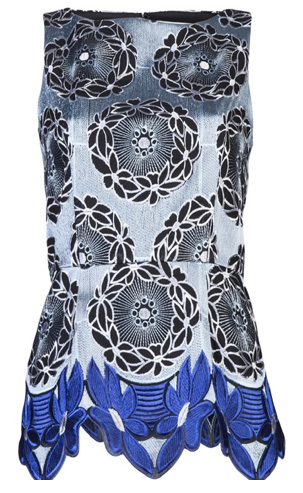 ), pre-Spring 2013 styles are just rolling into stores, including this gorgeous African print peplum stunner from Thakoon Addition. All there is to say about this top is WOW! And don't wait till the weather warms up to wear it!